Yesterday I gave my Magento Certified Developer exam and passed with a decent score. After sharing my score and success in the exam, most of my friends asked me how to prepare for this exam. So, here I share with you guys what I studied/prepared for this exam. For passing or getting good score in this exam, you must have very decent experience in Magento. Good amount of projects with both frontend and backend hands-on is highly recommended before taking this test. I prepared for 2 months, along with my work. Thanks to my wife who allowed me to study for the exam without disturbing or complaining 🙂 In the last 15 days before my test, I thank my Boss who allowed me to also prepare for the exam in the work hours. First of all, I went through the videos available Free (On-Demand, 40 Hours, Fundamentals of Magento) on Magento website. You can even purchase more videos if you are interested. Then, most of the time I spent on Study Guide PDF. It’s very important because for each question it asks you, you have to dig the Magento source code to find the answer. That also helps you in improving your understanding of Magento architecture. Once you think that you are now prepared with all the items listed in the Study Guide PDF, you can cross-check it with the Magento Self-Assessment Checklist PDF. You can find many more Magento gurus on StackOverflow. Considering you have completed all the above mentioned preparation guides, there is no way you can fail in Magento Certified Developer exam! Buy: Pinterest AutoPost images right from your website! Humor: Samsung Apple You’re fired! Could you please guide Magento2 professional developer plus certification document guidance, if have any reference link also share. Found the developer certification, need more detail on professional developer plus certification, could you please help. I want to know about the exam rules/criteria. No there are no negative marking system, but it’s recommended you answer ALL questions even if you think they are wrong. Result is displayed instantly after you complete your exam. And if you pass you even get the result in a stamped paper with your score. The original certificate comes from Magento Inc in 4-6 weeks. I got it in the 5th week. I found in one of the blog. “The questions of the tests are multiple-choice question with only one or more answers”. Hi, I am working on Magento from last six months and have a descent knowledge of it as already completed some projects. Is it true that exam contains tricky questions as well, I am not very good in remembering function names and all but good in solution finding and on demand knowledge. Should I take this exam, what u say?? Hi Nawal. It requires in-depth knowledge to pass the exam. Yes there are tricky questions, but if you have good experience and used it in your application than you can find out the correct answer(s). Choices are quite confusing. First try Study Guide, and if you think you are good in solving study guide questions, then go for it! From last 10 months i have been working in this decent platform, in one and only one community atmosphere. (I means no one have idea about this framework around my chair..(work area)). Really I love this E-commerce framework. Still now I have completed more than 7 projects successfully. Now a days, i also decided to get/achieved magento certification with good score. So for that I will contact you in mind hack topics…. This is vinithkumar, PHP Developer from bangalore. Your blog is really good and its help me to increased the confidence. (heartly thank you kalpesh, personally I like to always touch with you). I have just very basic knowledge in Magento. I have knows installation, configuration, implement themes and integrate connect magento extension. In my current company one of client asking “Need magento developer certified developer in his project”, so my company gave me opportunity to do magento developer certified exam, but within two weeks. I want to learn within two weeks, I know this is very short time. Please can you help me and send some sample online questions, it will great helpful for me to pass the exam. Hi Vinith. Thanks for writing. Yes two weeks is less time if you don’t have enough experience in Magento. Prepare atleast 3-4 hours everyday from “Study Guide” and watch online videos of “Fundamentals of Magento Development”. Also search on net and my blog there are many questions, answers and useful infomation which will help you crack the exam. Remember, you only need 37 correct answers out of 70 questions to get passed. This is Prakash from coimbatore. 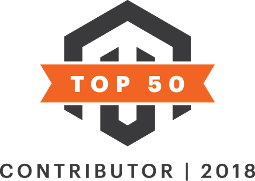 I have more than one year experience in Magento. I have developed 5 Magento sites which includes theme customization, custom module development, admin module development & Magento Extension development (EzLogin Lite & EzLogin Premium). Now i will planned to write the Magento certified developer exam with in three month. Can you please suggest me how I can do a successful completion of magento certification? (I am ambitious to move to USA). Congrats! … I am also planning to go for Magento developers exam. thanks for sharing your thoughts. Yes Vijaya you can take the test. Just make sure you are aware of the architecture and important functions Magento is using to execute things. Go through Study Guide and Self-assessment PDF to know how good are you to answer those questions before appearing in the exam. Congrats & thanks very much for sharing this information. I working in magento past three years. I have planned to do the magento certificate now i read your blog its very useful to me. I have one question. The test we take it from our own system OR we need to go for particular test center. Hi Iyappan, You will need to first purchase a voucher for the test you want to give. There are 3 tests available as of now: 1.) Front End Developer Certification 2.) Magento Developer Certification 3.) Developer Plus Certification. You can purchase the voucher here: http://www.magentocommerce.com/certification/ for any test you want, and then apply that voucher to schedule a test at any test center conducting Magento tests in your city. If your city don’t have test-center for Magento certification exam, you may need to go to another near by city which conducts it. Yesterday i gave exam and passed ,Thanks to kalpesh ,.the two posts about the magneto certification in this blog really been a great help . Am next in the queue. thanks for sharing your experience. Will come back to post you my result.. Thanks, for your writing, Keep writing , very helpful for other developers. This blog is a truely moral booster for a guy like me. Congrats & many thanks ! If possible can you give an brief details about the exam fee structure. How I schedule time table for prepare this exam ? Exam price varies around $260. Both exam having same fee structure. To appear for an exam, you have to take voucher from Magento website (first create account) and select option during registration on Prometric (Exam center which conduct exam) website. Even you can purchase voucher directly from Prometric website also. You should appear for an exam after 24 hours of registration. You will get three attempts to appear for an exam. On first failure, 15 days waiting period to eligible for next attempt and on second failure it would be 90 days. Hope, this would be help for somebody!! I want to know that as prashabh said we can attempt 3 time exam in 1 time fee, So is it true.? because approx 300$ is not less amount. so just want to confirm how much attempts are there in 1 time fee. I have 1.21 years of experience in Magento. I guess I kinda knew how magento flow works, but sometime it didn’t work out. When u think that it happens in that way the next moment Magento turns it down. I am about to give Magento Dev + certification exam. Will u give me any suggestion because when u know ‘when u think u know almost everything about something you stop or neglect learning about it’. Any suggestion will be good. Hi Sagar, I think you are ready for the exam when you can answer most of the questions from Study Guide. You should start evaluating it by asking yourself all the questions which Study Guide presents, and then cross-checking it with the code in the file names that it says to refer for answers. I think if you know 70% of questions then also you can pass the exam. 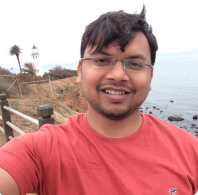 This is swamy ,i am interested to do magento certification. My self yogesh kuamr. I am intersted to do magento certification. I have 4 years experience in PHP but have a little knowledge about Magento. I have completed 3 or 4 projects in magento and also created 2 or 3 custom extension as client requirement. Let me know can I clear Exam within 1 month. Please gives your great tips. what i need to do for it. Is it possible to clear exam in a month. i need help .i am prepare magneto certification but i am confuse to how to prepare exam and passed if you can guide me.if you have question with answer paper please share with me and reply my message. I want to understand why did you go for magento certification program. What made you do that ? What are the advantage of doing that ?